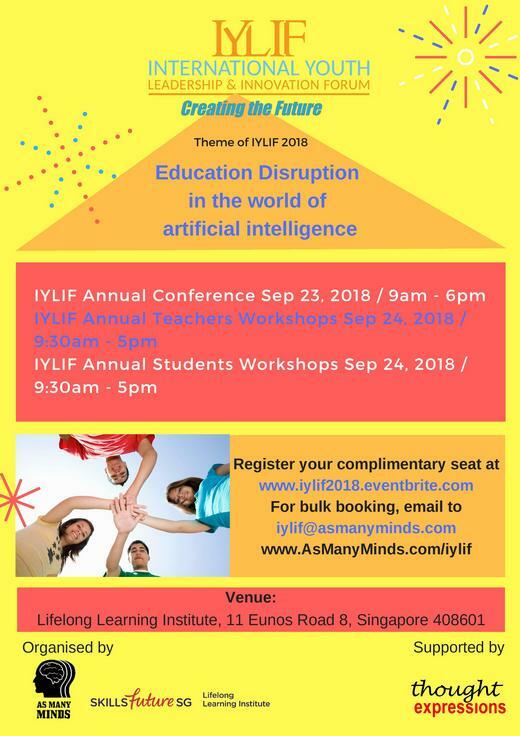 International Youth Leadership and Innovation Forum (IYLIF) is on 23rd and 24th of September in Singapore at the Lifelong Learning Institute, 11 Eunos road. The organisers are looking for enthusiastic people to be a part of the volunteering team at IYLIF 2018. IYLIF is a forum that brings together young adults, educators, industry experts, thought leaders and parents from around the world to discuss the pressing concerns about the future of today’s youth. The role will involve a range of duties including but not limited to providing information at registrations, technical assistance, video interviewing and overall smooth running of the conference. Note: Parents may book their complimentary seats at the conference at www.iylif2018.eventbrite.com.